This is a lovely motorsailer with internal steering position making it comfortable even in unpleasant conditions. Unlike other pilot house yachts the internal steering position has a clear forward and around the vessel. This yacht is well equipped, it even has air conditioning and an attractive diesel cabin heater. The vendor's ill health means that the yacht has been unused in recent months. Although the vendor organised for the yacht to be anti-fouled and have anodes changed. This yacht would suit a young family or an older retired couple who would appreciate it creature comforts. All early viewing is recommended. 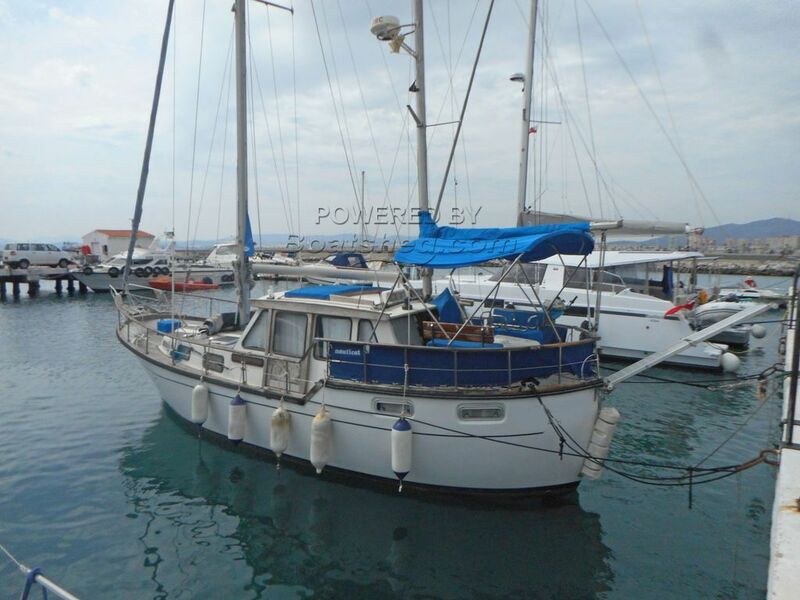 This Nauticat 33 Pilot House Motor Sailer has been personally photographed and viewed by John & Lynda of Boatshed Gibraltar. Click here for contact details.